Despite the short-term research on glucosamine and chondroitin, studies have shown that both work to relieve joint pain caused by osteoarthritis (OA). According to the A.D.A.M Medical Encyclopedia, osteoarthritis (OA) is the most common and widespread joint disorder caused by wear and tear, aging and genetics. In fact, approximately 16 million people suffer from the disorder, which often requires medical care. Other factors that may lead to OA are joint trauma, obesity and repetitive use. Despite the short-term research, studies have shown that both glucosamine and chondroitin work to relieve joint pain caused by OA. However, many of these studies span between a two and three month period. The body manufactures both glucosamine and chondroitin. Cartilage undergoes constant stress and continual repair; however, it must have the proper building blocks available in order to be successful. 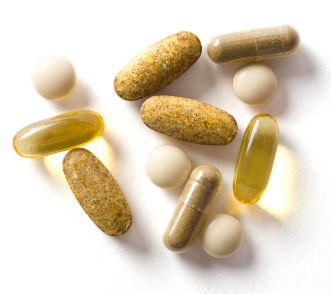 In supplement form, glucosamine and chondroitin can come from natural or synthetic sources. Most glucosamine supplements derive from shellfish shells, and a majority of chondroitin supplements come mainly from cow, shark or bovine cartilage. As an amino sugar, glucosamine promotes the repair and formation of cartilage. As a carbohydrate, chondroitin inhibits the enzymes that degrade cartilage, all while promoting improved elasticity and water retention. Together, both compounds work to increase the repair rate and formation of cartilage in the joints. While taking glucosamine and chondroitin separately may have some benefits, most people combine the supplements. According to an article published by the University of Maryland, some studies indicate that taking chondroitin supplements has decreased OA pain in some people. However, not all studies show positive results, and many research experts disagree about its benefits in treating OA. Researchers at the University of Belgium studied the effects of Glucosamine Sulfate on patients with osteoarthritis. First, they gave the patients questionnaires about the extent of their joint pain, mobility, and discomfort. Second, they measured the actual size of the joint to determine if there were any changes. They found that regular use of Glucosamine over a period of three years vastly decreased the amount of joint damage caused by osteoarthritis compared to a placebo, and that those with osteoarthritis reported less pain and improved movement. In 2006, a clinical study followed over a 24-week period and 1,583 patients showed negative results. The results of this study are mixed among experts. Dr. Marc C. Hochberg, Professor of Medicine and Epidemiology and Preventive Medicine at the University of Maryland medical center, expressed concern about the type of glucosamine used in the study. Dr Hochberg also commented that studies in Europe found that treatment over the course of 2-3 years with glucosamine or chondroitin slowed radiologic progression of osteoarthritis. "In Europe, both these compounds (glucosamine and chondroitin) are considered to be slow-acting drugs for symptomatic osteoarthritis that also have a structure-modifying effect, in contrast to acetaminophen and NSAIDs, which have a rapid onset of action and no evidence of an effect on structure." The Glucosamine/chondroitin Arthritis Intervention Trial (GAIT) showed no significant benefits when comparing patients who took chondroitin and those who were given a placebo. In addition, chondroitin may cause bleeding, so people with bleeding disorders or who are on blood-thinners should avoid the supplement. In most studies, researchers have found that chondroitin has no substantial benefit alone or combined with glucosamine. As for glucosamine, people who have an allergy to shellfish should monitor their doses carefully. The individual case studies concerning glucosamine show conflicting results. Some patients found glucosamine relieved their OA pain, while others showed no considerable improvement. In the end, there is not enough conclusive evidence to state that combining the supplements help treat symptoms of OA. However, glucosamine may act as a pain reliever, but people should consult the advice of a physician before beginning any supplemental regimen. As for chondroitin, people should avoid it since studies indicate it may have no benefits at all.